A collective resource dedicated to a yearlong commemoration of Dr. Martin Luther King, Jr., and the 50th anniversary of his assassination, the MLK50 microsite highlights six of Dr. King’s platforms, individual and community involvement and events across the world aimed to create social justice. Hosted by the National Civil Rights Museum, whose mission is to explore the events of the Civil Rights Movement and examine how that era shapes equality today, MLK50 provides an opportunity for visitors to reflect on Dr. King’s legacy while initiating an internal motivation for change. With a theme of “Where Do We Go From Here?,” MLK50 exists to create interest, build anticipation and disseminate information regarding Dr. King, his platforms and the continued fight for civil rights in the present. The MLK50 site opens with a stand-alone quote from Dr. King highlighting the importance of taking a stand for equality and justice, a foundation of his legacy and the many activists during the Civil Rights Movement. Dr. King’s quote quickly draws the visitor to the purpose of the site. Experimenting with animated graphics for the first time, Speak utilized Dr. King’s silhouette combined with background video of the National Civil Rights Museum as a way to further bring interest into the theme of the site while pausing to reflect on the quote. Dr. King’s continuous effort to improve the social status of African Americans and other minorities provides a blueprint on how to motivate others to encourage and engage in change. Realizing the importance of his fight in the present, the MLK50 site pinpoints significant platforms he diligently worked to improve over his legacy. Recognizing the struggles of the past helps create avenues for change in the present, and the MLK50 site offers an opportunity for visitors to become educated on those platforms. Similar to one of the foundations of the Civil Rights Movement, the MLK50 site is designed not only to educate, but also to listen. Each person has a voice and a story, and others want to hear them. 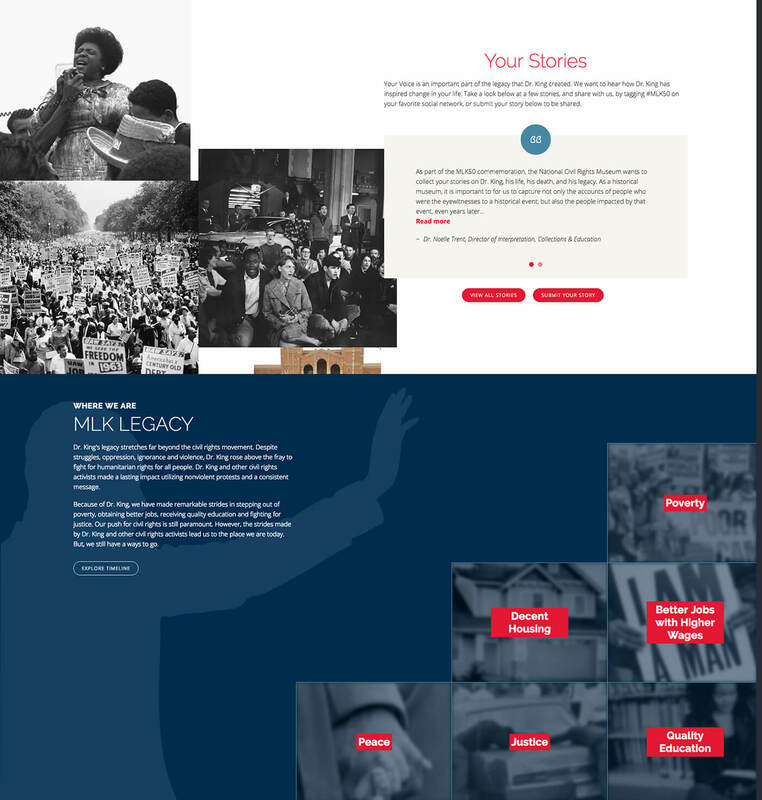 The "Your Stories" section allows visitors to submit their stories on how Dr. King, the Civil Rights Movement and other activists have inspired them on their quests for social justice. 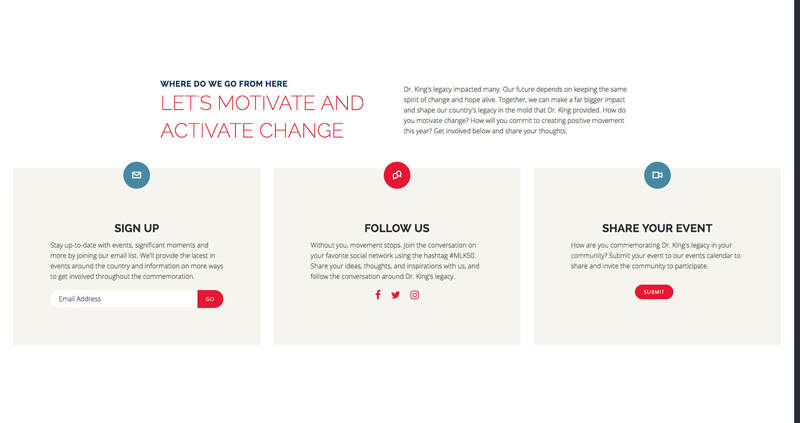 A crucial component of the MLK50 microsite involves motivating and activating change. Without change, social injustices continue to persist. 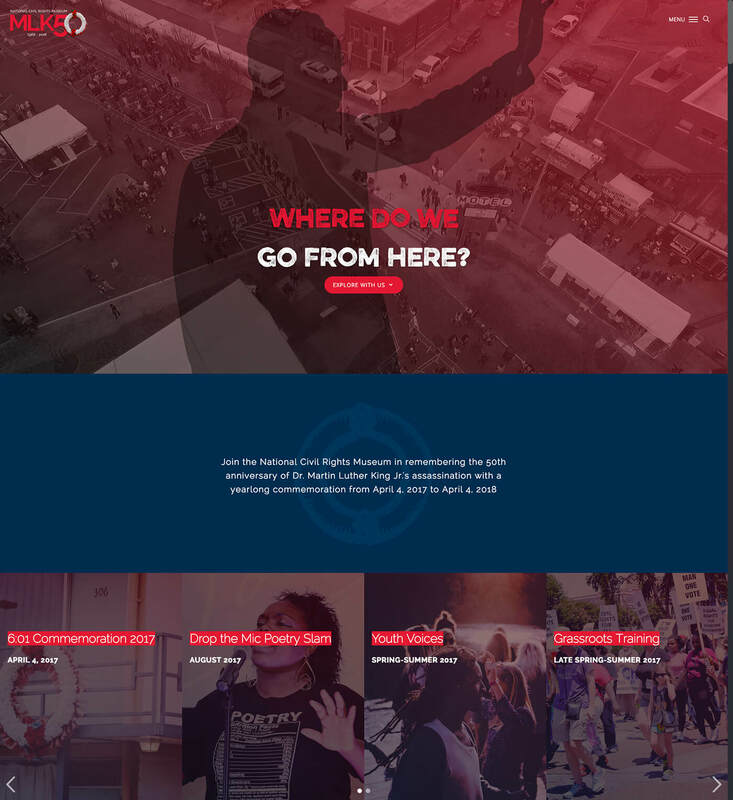 By creating a Calendar of Events that encompasses events worldwide, the MLK50 microsite offers opportunities to impact change in each individual’s local community. A unique feature of MLK50, visitors can submit an event to the Calendar of Events, which allows recognition for local events and displays dedication to activating change across the globe. 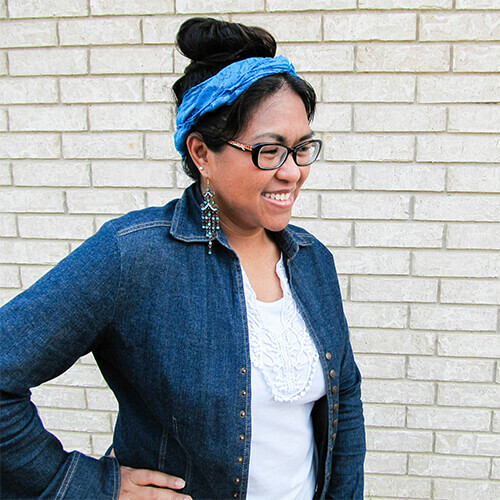 Social media plays a significant role in helping activists learn, listen and organize. Each person gains a new perspective when seeing how others take a stand for equality through social platforms. Because of social media’s importance, the MLK50 microsite boasts a dedicated page for social integrations using the hashtag #MLK50. With this integration, visitors quickly see the fights for change across the globe, which entices others to share on their own platforms.